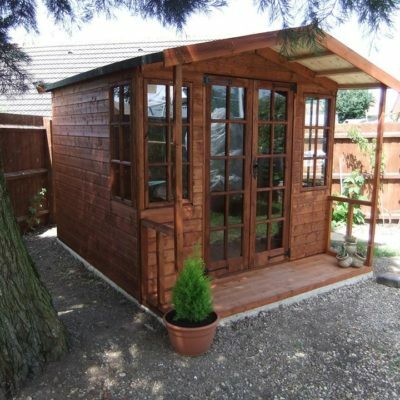 Our fabulous ‘ Dodd ‘ Garden Room as supplied to Chelsea Football Club. 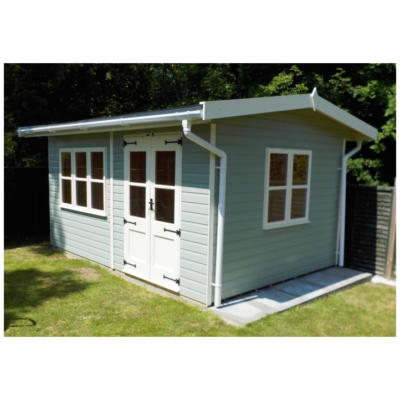 All prices include Delivery, Assembly, Heavy Duty floor and roof! 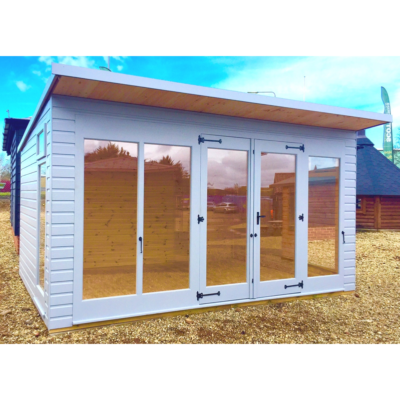 Our mew ‘Dodd’ Garden room is the perfect solution for outdoor entertaining, can also be used as a garden office, workshop or studio. You can be assured that your building will be constructed to a very high standard, using the best materials available. 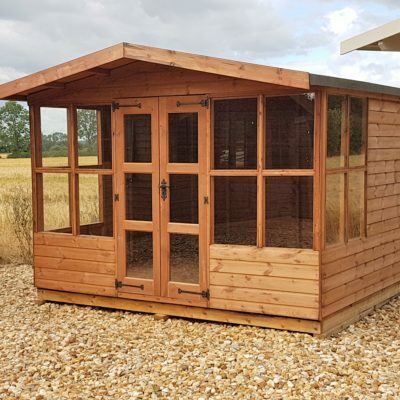 Made from 16mm Heavy duty Tanalised Boarding with 45mm x 45mm planed Tanalised framing, all doors and windows are handmade by our in house joiner. 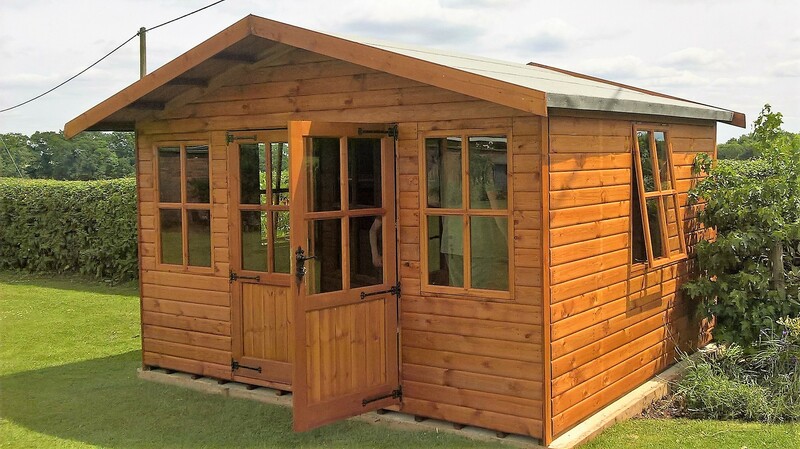 Each building is finished to a very high standard, doors and windows are now painted with light oak spirit based treatment and fitted with high quality traditional antique style furniture. Roofs are finished with green mineral felt.